(VEN) - Within two decades, the French Chamber of Commerce and Industry in Vietnam (CCIFV) has established itself as the biggest European Chamber of Commerce in Vietnam. Starting with 58 members in 1998, CCIFV now has 280. 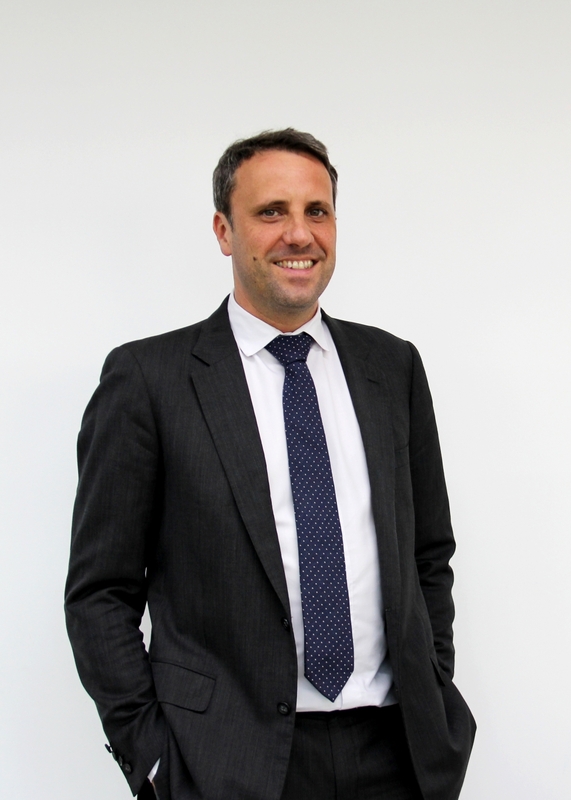 Henri-Charles Claude, CCIFV Chairman, spoke to Vietnam Economic News’ My Phung about the chamber’s activities and contributions to the local as the bridge to connect businesses of both countries, and the plan for expansion after 20 years. What do you think are advantages and disadvantages of Vietnam as an emerging market in comparison with other countries in South East Asia in terms of French investment attraction? 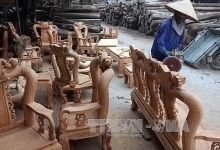 First off, Vietnamese people themselves greatly contribute to the country’s attractivity. With a 94 million strong population and an average age of 29, Vietnam can capitalize on a young, numerous, affordable and skillful labor force. More advanced regional economies such as Thailand or Malaysia have a comparatively sluggish growth due to an ageing population. Being a member of the ASEAN, and close to key markets like China, Vietnam acts as a gateway to the Asian market. Political stability, along with these demographic and geostrategic assets, makes Vietnam a high potential market in the region. Other factors such as red tape and corruption have been known to hinder investment in Vietnam. However, the current government has been particularly active in carrying out structural reforms, which have been successful in addressing those issues. What sectors in Vietnam are potential and interesting for French businesses in the years to come? 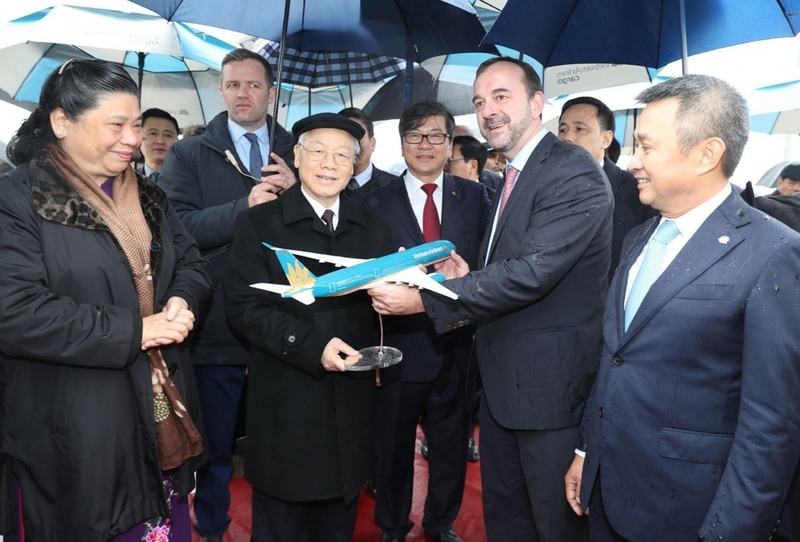 In 2017, French exports to Vietnam increased by 7.9 percent, main contributing sectors being aeronautics, the pharmaceutical industry, information technology, electricity and water, and agriculture. France’s expertise in the pharmaceutical sector allowed us to be present on the market very early: Sanofi has been present here for 50 years. The agricultural sector (animal health such as Neovia or equipment) and agro-industry in general, including food, wine & spirit and distribution are well represented thanks to a strong reputation. The tourism industry isn’t lacking either: Accor Group now counts more than 20 establishments hiring 3,000 employees in Vietnam. France also has a lot to offer in terms of high technology, transportation, infrastructure and urban planning. These sectors all have a high potential for development thanks to the dynamism of the Vietnamese economy. In fact, there is a steady influx of new French expats with a growth rate of 2.4 percent last year. Can you tell about the current trend of investment abroad of French businesses? Do you think more French companies will come to Vietnam in future years? I am very optimistic about the future of French investment in Vietnam. France has always been a major investor, and remains the third biggest European investor in Vietnam in terms of FDI stocks, but we need to be more ambitious. 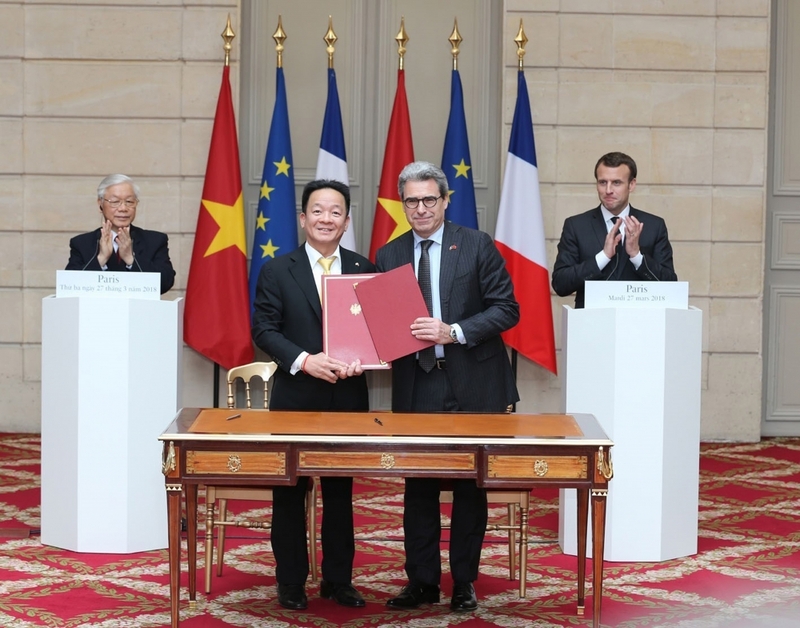 Last March, during the official visit of the General Secretary of the Communist Party of Vietnam (CPV), Nguyen Phu Trong in Paris, President Emmanuel Macron confirmed France’s determination to increase exports to Vietnam. This meeting also gave an opportunity for French companies such as EDF Group, Bouygues and Safran to sign major contracts with Vietnamese partners. Safran and Vietjet signed a MoU worth US$7.3 billion to develop a strategic partnership and equip about 100 aircraft with LEAP-1B engines. The EU-Vietnam Free Trade Agreement (EVFTA), set to be signed by the end of the year, paves the way for strengthening economic ties. This agreement will be a great asset for CCIFV to capitalize on. The Vietnamese government is increasingly favorable to foreign investment, as shown by the privatization of a number of state-owned enterprises. This creates new opportunities for French companies to become major players in many sectors. During the last 20 years, what has CCIFV done to bring more French companies to Vietnam as well as to link businesses of the two countries? Over the course of 20 years, we developed a full set of services catering to French companies, providing support at all stages of their entry on the market: assisting implementation, finding clients, partners, and employees, providing market studies, etc. We organize business forums, such as during the official visit of former French President François Hollande, in 2016. On this occasion French pharmaceutical company Sanofi, signed major agreements to extend their strategic partnership with Vinapharm. Concurrently, we provide direct support to Vietnamese companies. CCIFV regularly leads Vietnamese delegations to major French trade shows and supports them in finding opportunities on the European market. Overall, we yearn to facilitate ties between French and Vietnamese businesses through a variety of means, and with a decidedly bidirectional approach. What is CCIFV’s contribution to economic and social development in Vietnam? CCIFV contributes to the economic development of the country by enhancing business relationships and exchanges between France and Vietnam as I mentioned previously. Additionally, we work towards strengthening connections and exchange within the business community by organizing events open to English-speakers. CCIFV has also developed a Corporate Social Responsibility (CSR) Program with the aim to encourage good business practices, experiences and contacts to enhance sustainable development in Vietnam. Our CSR department strives to raise awareness about CSR through events publications, and studies. We also provide consulting services and developed an online platform to help companies implementing their CSR projects and connect NGOs, social businesses and companies to support them in creating long-term relationships. What plans does CCIFV have to expand operation in Vietnam after two decades? Socio-economic conditions have considerably changed in 20 years. Vietnam has become a very attractive market and French investment is at its highest. Adapting our services to an expanding business community is a challenge we take on. We are working towards greater collaboration within the community. This is exactly what project Maison de France is about: this real estate project is currently being developed in partnership with the French Institute (IFV) and with the participation of talented French companies, bringing French economic and cultural presence to a new scale. In short, we are looking to expand, diversify and upgrade our scope in the wake of a new era in Vietnamese development where we believe French companies have a role to play.